I’ve made navigational errors before, tons of them, but this one feels profound. 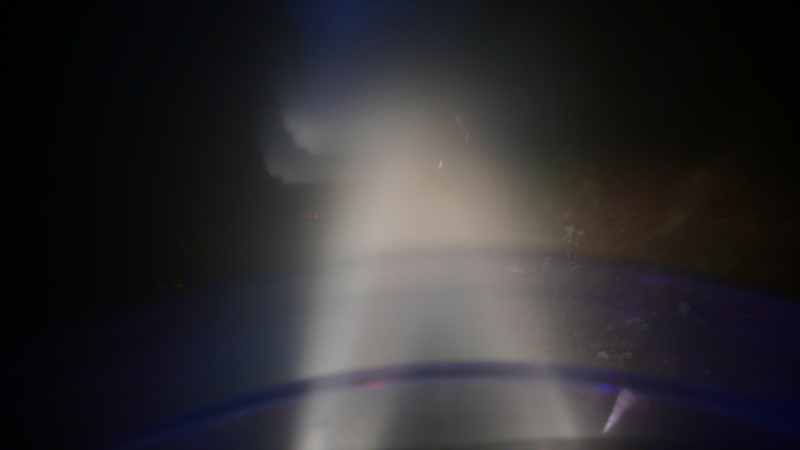 The fog is so dense I can hardly make out the cat’s eye reflectors on the road in the 1098S’s projectors and we’re reduced to near walking pace, down a road with no discernable name cloaked in 10 feet of visibility. It seemed like a brilliant idea at the time. 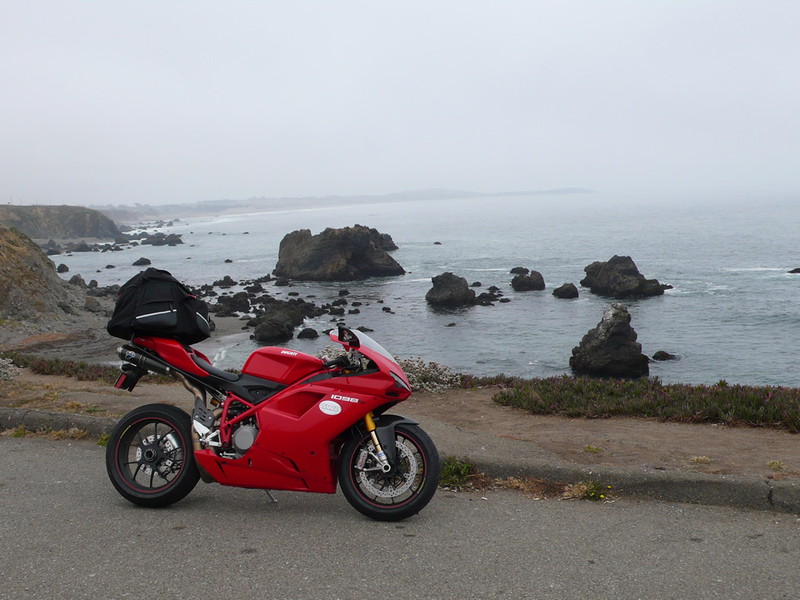 After an extended delay in San Francisco for a tire change, I sought to prolong the riding day by heading inland to avoid the marine layer as it rolled a miserable cold Pacific fog over California Highway 1. Armed with AAA maps and navigational skills that could generously be called impaired, the goal was to run the ridges above the PCH and the fog skimming the picturesque cloud layer. 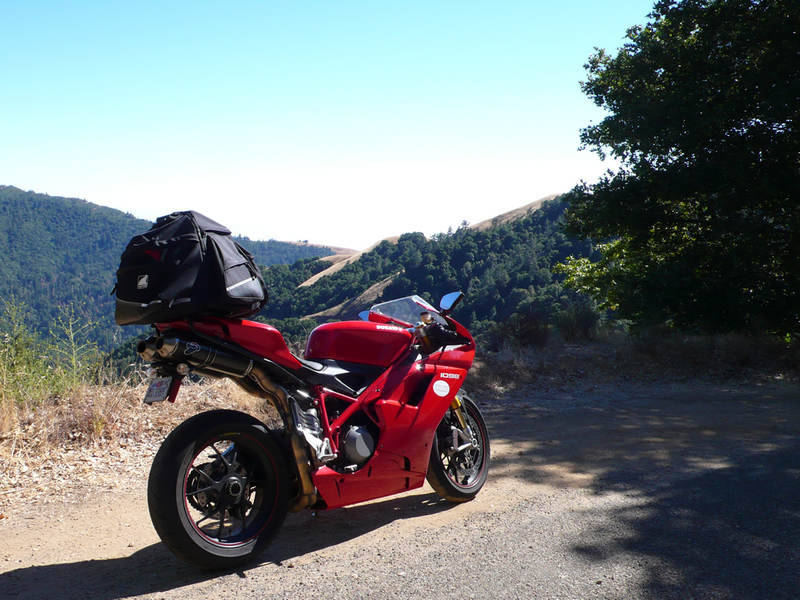 From Jenner, the 1098S charged eastward along the 116, then shot through rough roads and challenging hairpins, following the Cazadero Highway and King Ridge Road. Two lanes, narrowed to a lane and a half, then one lane of asphalt winding through mountaintop grasslands peppered with Holsteins grazing in the low evening light. I miss a turn for Skyline ridge. 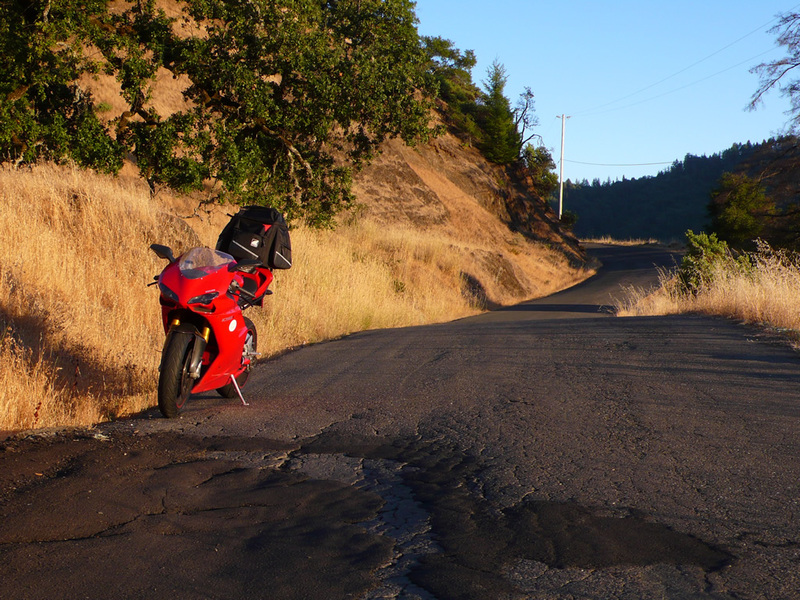 Suddenly road options dwindle, with one intended route transitioning from paved to a steep, downhill and gravel undertaking – clumsily I u-turn the 1098S. Maps that looked to provide ample cartographic coverage suddenly seem scant read in the 1098S’s headlights. I take a road marked for Plantation, small pockets of deer stand roadside waiting to flight in front of me. 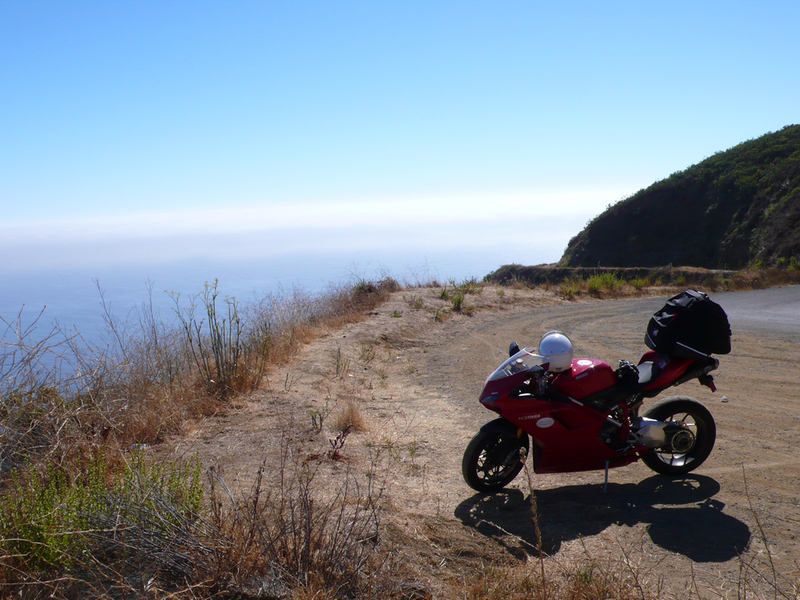 Eventually I rely on the logic that going downhill and toward the fog will at least take me toward the PCH. It should be miserable, physically it is, but I wouldn’t trade this for the world. 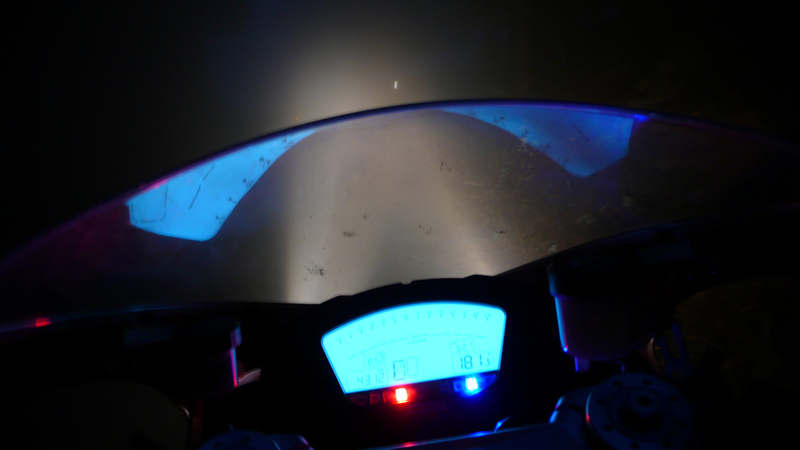 The fog is so thick I hardly realize when I reach the highway; the only giveaway is the smell of ocean coming from my right and a taste of adventure. 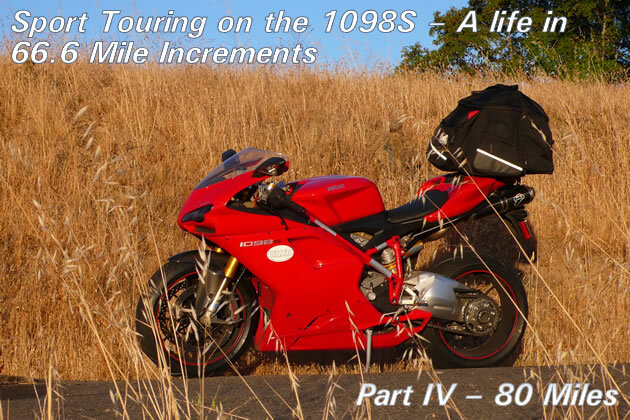 My internal monologue has shifted; the 1098S is no longer the “world’s fastest sport-tourer” or 1098GT, it has become “the intrepid 1098.” Covered in condensation from the fog, splattered with insect carcasses, filmed by road grime, this bike has become a fellow adventurer revealing a stalwart personality under a frivolously sporting exterior. Hugging the engine for warmth, we press on. Getting lost takes time and suddenly two days to arrive in Portland seems a fantasy. By 10:30pm, chilled, wet and tired as I’ve backtracked to the 116 rather than risk the impenetrable fog, I reach Guerneville on the Russian River. 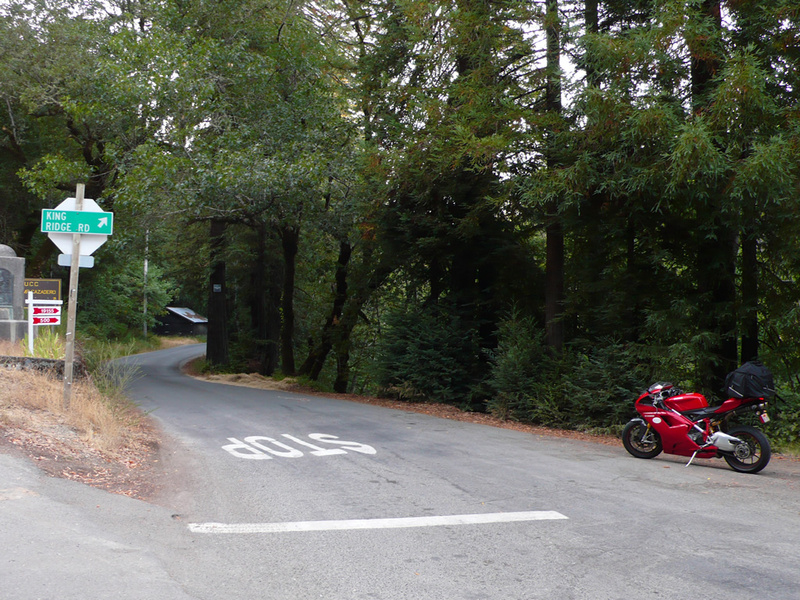 If San Francisco’s Castro district has a “cottage country” Guerneville is it. Driving down the main drag the first impression is a small Californian logging and tourism town from a rainbow-flagged parallel universe. I’m winding the streets, and confronted with nothing but “no vacancy” signs, save for “Wood’s” (pun intended). 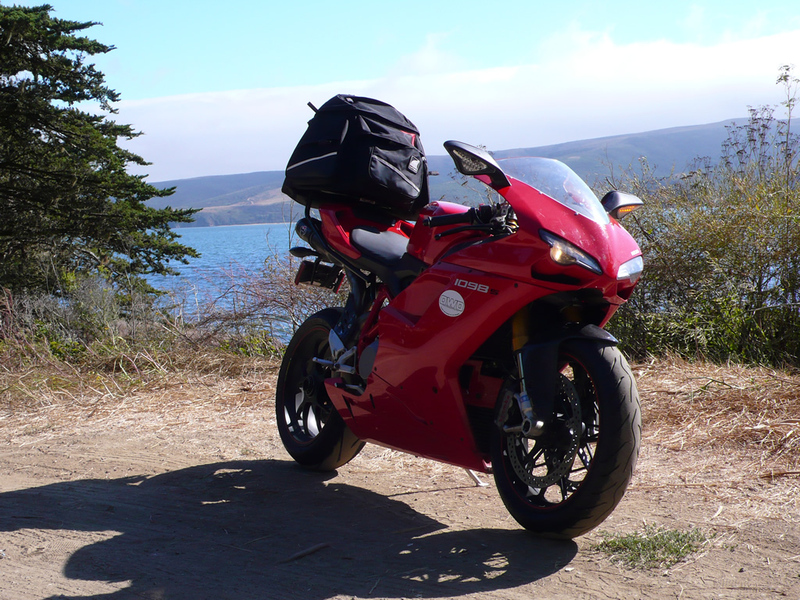 Today we’ve made 80 hard won miles north of San Francisco to show for it. Next morning I clean the blood off my beleaguered leathers, and head out PowerBook in hand to coffee. Reviewing the photos over a mocha I’m struck by the easy going party atmosphere. 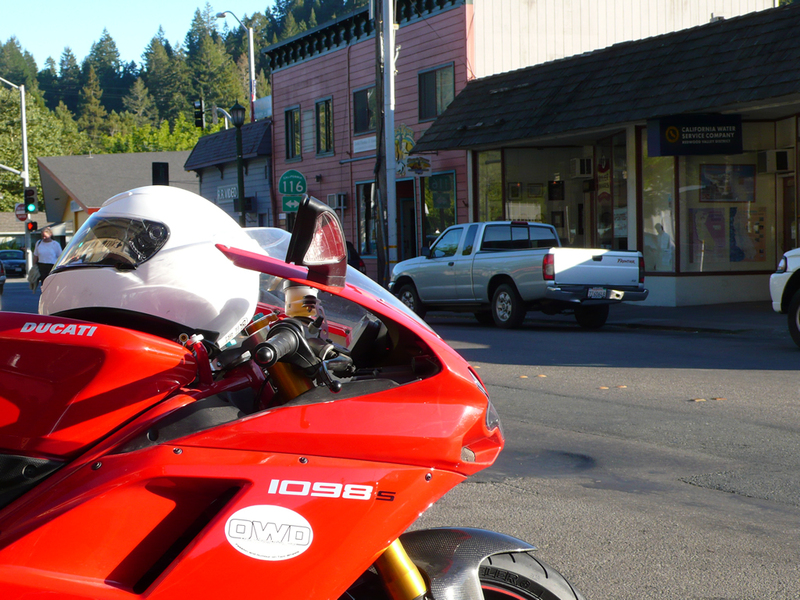 Men are chatting, shaking hands, a couple of fellow riders spot the pictures from the coffee lineup and comment on the 1098S’s photogenic nature. Riders are riders, regardless of proclivities. “That shot’s gorgeous, my R75 never looked that good.” The picture is from last night, the 1098S against a gold and bronze backdrop in the fading sun before our descent into the fog. 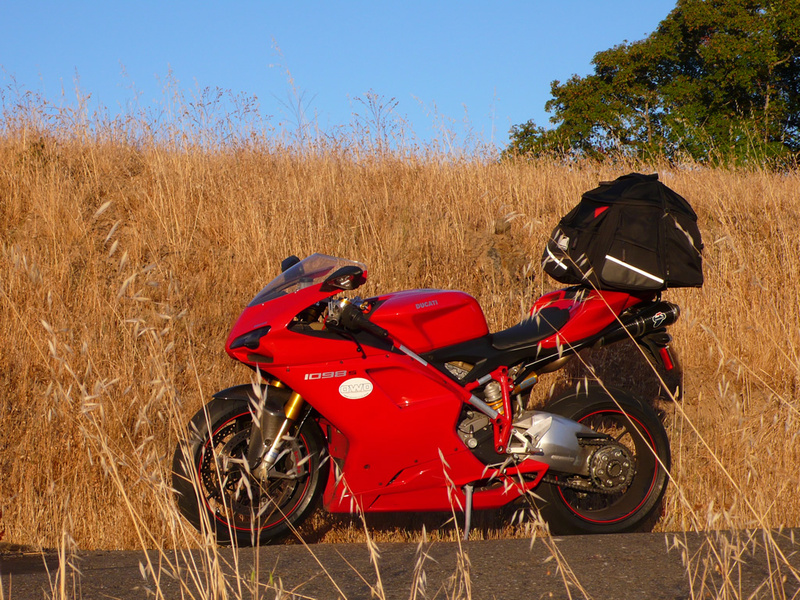 It’s a keeper, a world’s fastest postcard for the world’s fastest sporttourer, but it’s time to hit the road.